The OSS - Office of Strategic Services - created under the command of William Donovan, has been celebrated for its cloak-and-dagger operations during World War II and as the precursor of the CIA. As the "Oh So Social", it has also been portrayed as a club for the well-connected before, during, and after the war. The fascinating biography of the man who laid the foundation for the CIA. One of the most celebrated and highly decorated heroes of World War I, a noted trial lawyer, presidential adviser and emissary, and chief of America’s Office of Strategic Services during World War II, William J. Donovan was a legendary figure. Donovan, originally published in 1982, penetrates the cloak of secrecy surrounding this remarkable man. 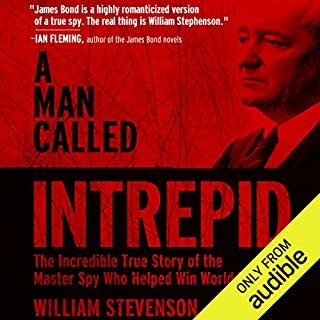 During the dark days of World War II, "Wild Bill" Donovan, more than any other person, was responsible for what William Stevenson, author of A Man Called Intrepid, described as the astonishing success with which the United States entered secret warfare and accomplished in less than four years what it took England many centuries to develop. 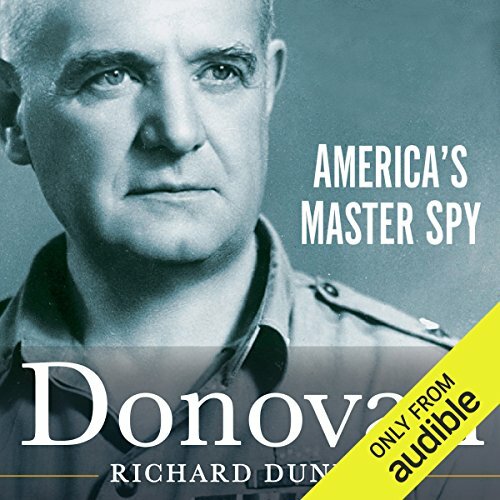 Drawing upon Donovan’s diaries, letters, and other papers; interviews with hundreds of the men and women who worked with him and spied for him; and declassified and unpublished documents, author Richard Dunlop, himself a former member of Donovan’s OSS, traces the incredible career of the man who almost single-handedly created America’s central intelligence service. The result is the definitive biography that Donovan himself had always expected Dunlop would write. ©1982, 2014 Richard Dunlop (P)2014 Audible Inc.
For the past 4 years I have been reading books about World War One, therefore I found the section about Donovan service in WWI most interesting. Donovan was the most decorated American soldier in WWI. The author covered Donovan’s WWI service in-depth and anyone interested in learning more about WWI would find this book helpful. I had just finished reading Caesar Commentaries so when I read that Donovan was reading a French translation of Caesar Commentaries with comments by Napoleon it jumped right out at me. Richard Dunlop was a journalist for the Chicago Tribune and a former OSS agent in World War II. He passed away in 1987. Sir William Stephenson was a Canadian soldier, spy master and oversaw British Intelligence for the Western Hemisphere during World War II. His code name was “Intrepid” and is thought to be the inspiration for James Bond. The book covers an overview of Donovan’s life from childhood in Buffalo, New York and his education at Columbia University and Columbia Law School. During World War I Donovan served in the famous New York fighting 69th Irish Regiment where he received numerous decorations. Donovan was the only person to have received all four of the United States’ highest awards: The Medal of Honor, The Distinguished Service Cross, The Distinguished Service medal with two oak leaf clusters and the National Security Medal. He also was awarded the Silver Star and a Purple Heart with two Oak Clusters. He was awarded medals by all the Allied countries. At the end of World War One he left the Army as a Colonel. After World War One Donovan returned to his Wall Street law practice and he was active in New York politics as well as a friend of FDR. In WWII FDR created the OSS on the advice of William Stephenson, the British Intelligence officer for the Western Hemisphere. The United States had no intelligence network. FDR then appointed William Donovan as its head. The book covers an overview of Donovan’s work with the OSS during WWII. Donovan was promoted to Major General during WWII. Donovan continued to head the OSS under President Truman and when it was dissolved at the end of the war he helped Allen Dulles set up the CIA that Truman had just created. After World War II Donovan reverted to his life as a lawyer he was special assistant to Chief Prosecutor Telford Taylor at the Nuremburg War Crimes Tribunal. In 1953 President Dwight Eisenhower appointed Donovan as Ambassador to Thailand. Dunlop was given access to Donovan’s private papers and spoke with Donovan for hundreds of hours in preparation for writing this biography. The book is well written and most interesting. Eric Martin narrated this book. If you are interested in WWI or WWII history this is a book for you. This book provides an excellent overview of the life of William Donovan. If you could sum up Donovan in three words, what would they be? First, I appreciated learning about the man who created the concept of the Central Intelligence Agency. But this book is about much more than that particular contribution by Bill Donovan. The biography describes in detail Donovan's Irish-American childhood in Buffalo, NY in the late 1800's, his education and early years as a lawyer, his heroic service in WW I, the between war years which he spent investigating, on his own, social and political conditions world wide, and his service during WW II in creating and developing the OSS, the precursor to the CIA. Even that impressive list of accomplishments does not do justice in describing Bill Donovan. He was brilliant, upbeat, thoughtful, discreet, far-seeing and never content to sit back and rest on his laurels while others took risks or did all the work. My only disappointment in the story of this man was his apparently rampant philandering. Too bad he could not devote a portion of his seemingly endless energy and commitment to his family relationships, particularly to his marriage. Infidelity seems to be a fairly common failing in men of great accomplishment, but that hardly constitutes an excuse. Nevertheless, there is no denying Donovan's remarkable contributions to significant events of the 20th century. This was a straight-forward narration. No characters or alternate voices were portrayed. Eric Martin was the perfect narrator: matter-of-fact, attention-holding. Father of central intelligence services in the USA. The only flaw I noticed is that there is perhaps too much detail in this biography. 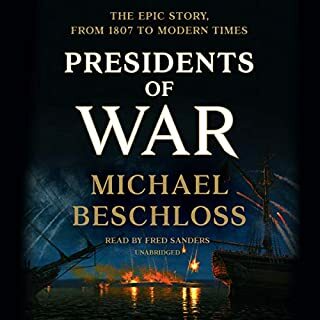 This is the first book I have listened to during which I wondered if an abridged version might have been a better choice. I love reading long books, so my attention span isn't the problem. 1) I felt weighed down by all the names of people with whom Dononvan interacted. 2) For some reason, the description of his activities during the years between the world wars struck me as tedious. Too many names, too many dinners and meetings with this person or that, too many flights here and there...I think fewer minute details and better summarizing/editing of this period would have suited me better. My interest revived as the WW II years approached. 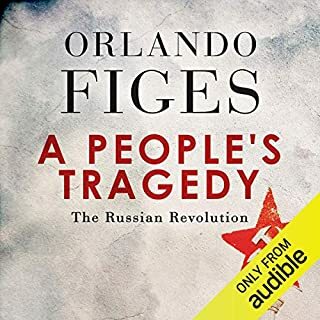 I do recommend this audio version, with the caveat that it will require from the listener many hours of concentration. The end result is more than worthwhile. After listening to this narration, I now view Bill Donovan as a larger than life figure. I admire his sweeping comprehension of the state of the world and his endless personal commitment to be fair, compassionate, and proactive in safeguarding his country. This was an excellent biography of Bill Donovan. Eric Martin's narration was splendid. 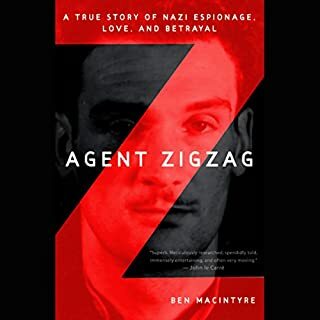 I thoroughly enjoyed this book and feel like I have a much better understanding of Bill Donovan’s role the creation of our intelligence service. Our current political, diplomatic, and military leaders would all benefit from the unassuming sagacity and ferocious patriotic mindset of this remarkable man who was integral to many of the salient events of WWI, WWII, and the early years of the Cold War. 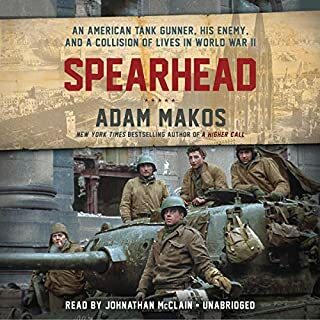 This audiobook exceeded my expectations on all accounts. The narrator brought the exploits and accomplishments of Wild Bill Donovan to life. Donovan was a creator, thinker, and leader. I never heard of Bill Donovan, but I should have. Rags to riches story of a real statesman serving his country. What a mind he had, I don't think I could have kept up with him. Sounded like a romantic WWI & WWII larger than life war hero, but indeed, he was just that. A wonderful story, a great patriot to this country. And by the way he was the father of the CIA. A wonderful stroll thru our past history, about a man of great fore sight who helped in winning two worlds wars. The political infighting and territorial wars are not unlike what goes on today. 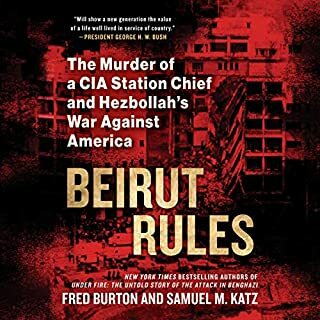 Well written and narrated I would recommend it to my friends. I almost gave up on this book several times, but stuck with it because Donovan was such an interesting character. The book frequently lapses into a superficial hagiographic style. In-depth exploration of his controversial side, his true strengths and weaknesses was lacking. Reader was not up to usual Audible standards. Had no idea the scope of Donovan's accomplishments. Highly recommended addition to understanding the present. A brilliant and well researched bio. The narration was absolutely dreadful. I’m unsure but I believe this was an automated voice. With little in the way of changes in tone or pitch. If possible I’d ask for a refund and buy the book.